Win Zone (<12) – projects have a high likelihood of success. 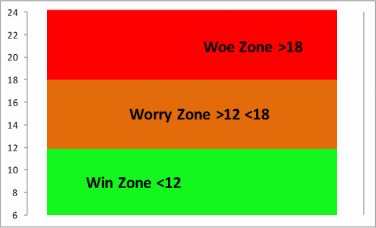 Worry Zone (>12<18) – projects are a worry, although some might just make to achieve success. In general as the score increases success moves further afield. 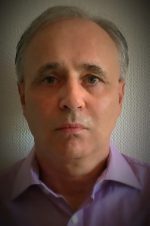 Woe Zone (>18) – projects are very likely to fail – inbuilt failure. The initial Project Score was 13 (see below) – therefore in the Worry Zone. After the team revision this was changed to 10 – back into the Win Zone. * Based on the DICE Framework, originally developed by the Boston Consulting Group for the measurement of change initiatives implementation.